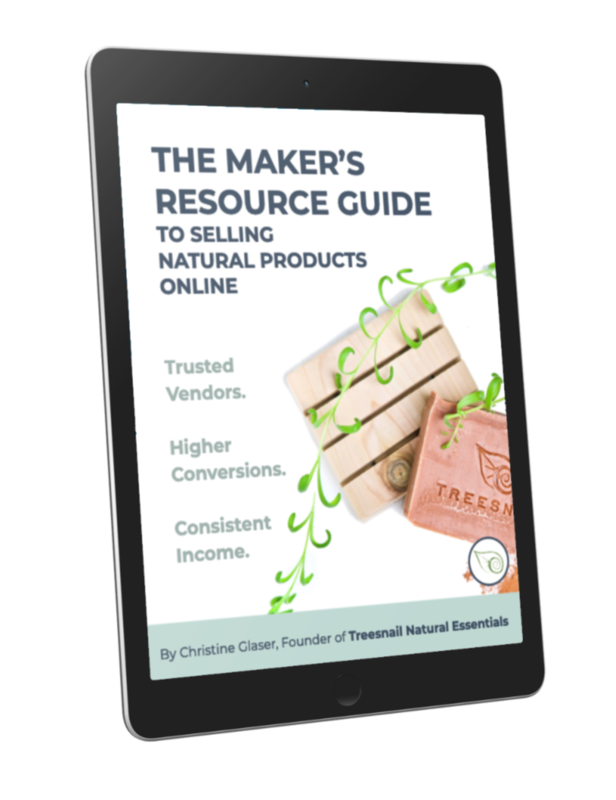 "This is a great guide for anyone interested in making and/or selling natural products online. It covers everything you need to get started. It is great for a beginner, but also great for someone more advanced who is stuck and not sure where to go next. Thank you so much Christine for the great resource!" "I really appreciate the helpful feel of this e-book. I didn't feel like it was telling me everything I was doing wrong, or telling me I "had to" use this or that. It is a great resource for anyone looking to get into selling their healthy, natural products online." 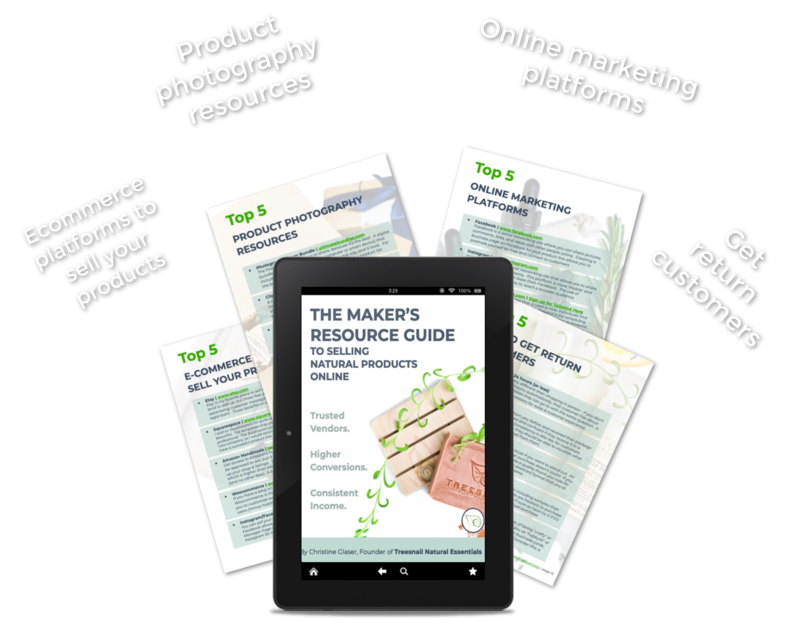 Whether you're just getting started selling your natural products online OR you just can't seem to get the sales you know you should be getting...this digital resource guide is for you. Ten ESSENTIAL categories to create professional products, learn Ecommerce tips, and get repeat business. "What a gold-mine this guide is! I have been heading down the "natural products" path for well over a decade, and to be honest, some things I am diligent about, others not so much. Why? Often it's a matter of time and resources - and by resources I mean sifting through the millions of options and opinions available in today's digital world. As someone who makes their own products, buys others, and uses them within my business this was a wonderful, clear guide that tells you what works and where to get it. Some of these I knew, others I was thrilled to be introduced to. This is definitely a win!" 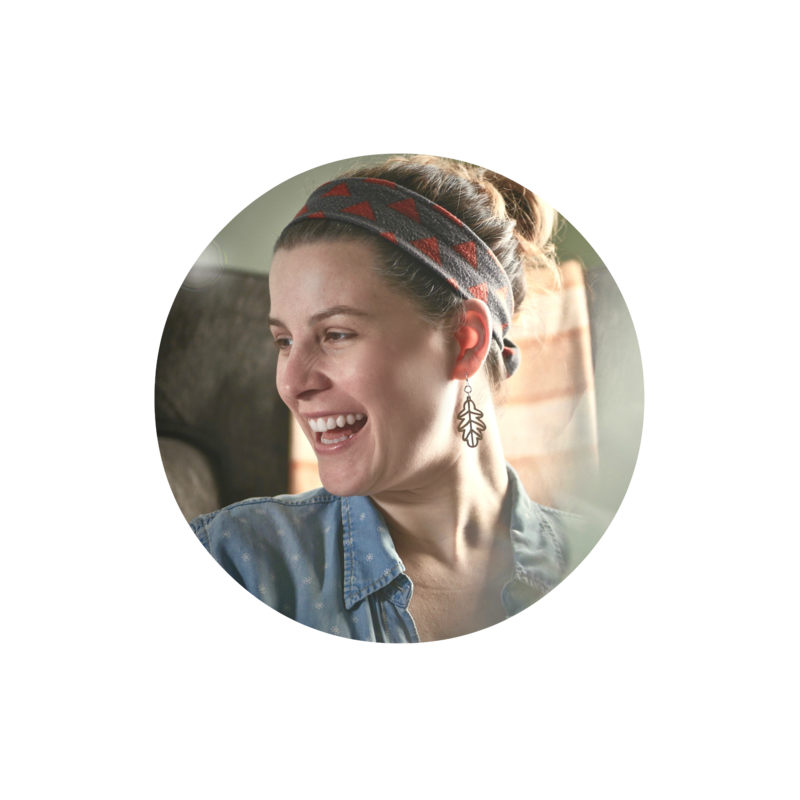 Christine is the founder of Treesnail Natural Essentials, an all-natural personal care product company in St. Louis, Missouri that hand makes small batch recipes with dried herbs, natural butters, and pure essential oils. Treesnail's mission is to make natural living approachable wherever you are in your journey. PLEASE CHECK YOUR EMAIL TO CONFIRM YOUR ADDRESS AND RECEIVE YOUR FREE DOWNLOAD! Please email me at christine@treesnail.love if you have any questions!